Wild and grand spaces … where you will probably meet deers or chamois, eagles and vultures. Many marked trails … topos à OT de Lus la Croix Haute and Aspres sur Buëch. An incredible spot! The numerous marked itineraries of Lus la Croix Haute and the valley of the Buëch, part of the Chemins du Soleil, the Raid VTT or the Badger race every year in the autumn! Guided tours, guided walks. Details here. Tease the trout on the Buëch, fishing in lakes of altitude or on the lake of Serre Ponçon, fishing in the wild. epart Saint Julien, direction La Faurie and Montbrand via a beautiful little wild valley. Continue on the Col de la Haute Beaume to go down on La Beaume and climb the Col de Cabre. Enjoy the sundial at the exit of the tunnel. 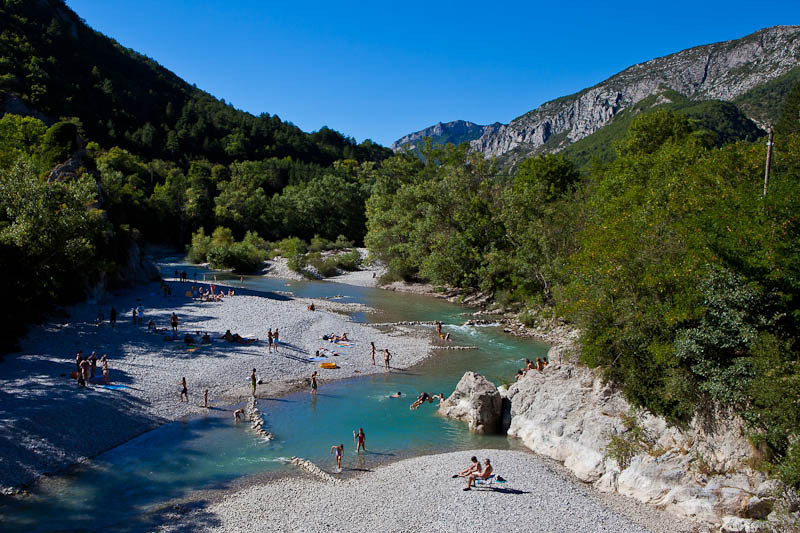 Before arriving at Luc en Diois, admire the Claps, chaos of rocks and small swimming lake. In Die, inevitable visit of the old town and the cellar Jaillance. We return to Châtillon en Diois, to discover the old town with its viols. One goes up towards the pass of Grimone via the gorges of the Gats, overhung by the Sucettes of Borne. From the Col de Grimone, one goes down to Lus la Croix Haute and its alpine landscapes. To finish, return to St julien en Beauchêne, it will be already the hour of the aperitif on the terrace!